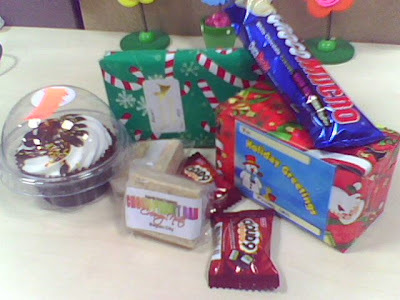 Home chocolates Christmas Christmas 2010 christmas gift christmas presence cupcake gifts gifts received Office sweets teammates The Third Batch of Christmas Gifts I Received This Year! The Third Batch of Christmas Gifts I Received This Year! As I told you, more and more gifts were coming! It's raining Christmas gifts right now here in my workstation! Here are the third batch of Christmas gifts I received for this year! These gifts were really full of sweetness! So sweet...! Yeah, the givers were very sweet! A chocolate cupcake, chocolate bars, sweet candies, and two more wrapped gifts! Want to know them?! 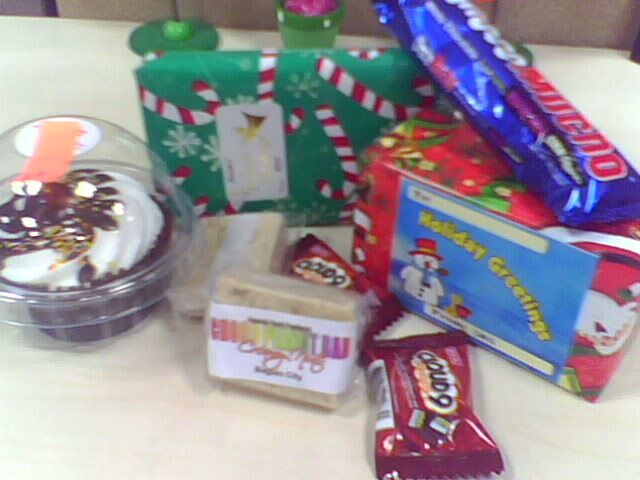 Majority of these gifts were chocolates or edible sweets! The valuables were only those two gifts wrapped in Christmas wrappers! 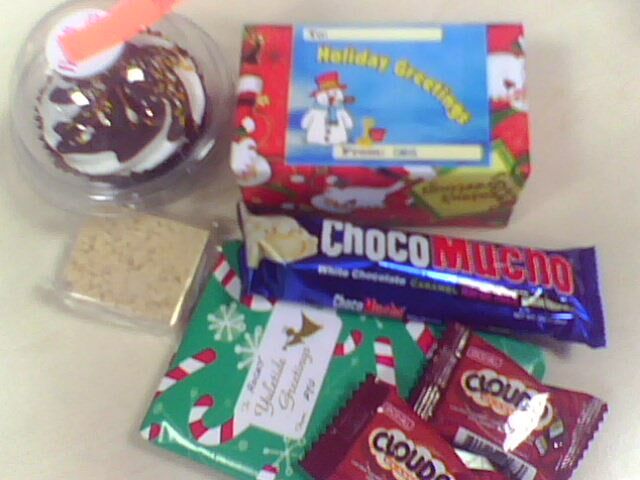 I also received variety of chocolates! Cloud 9 and Choco Mucho were some! Yup, these were in addition to one of the two wrapped gifts. 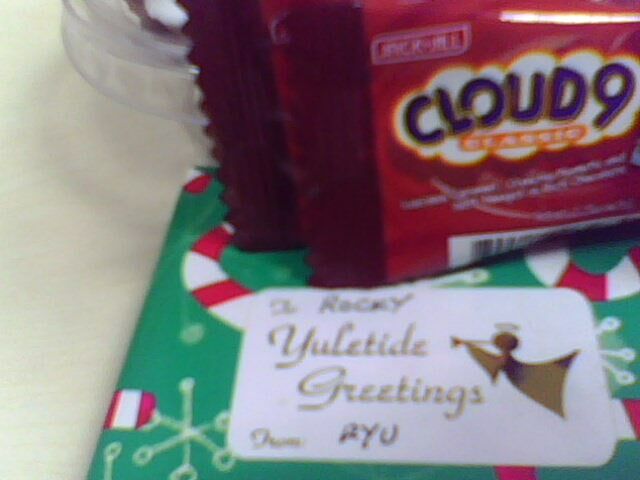 My officemate who gave me the chocolates is also the one who gave me one of the two wrapped gifts! I also got sweets from my newly married teammate. Yup, these were fresh from Baguio! I think they brought home these sweets after their honeymoon in Baguio! And the last one is the wrapped gift, the second of two! Yeah, that is the present wrapped in red Christmas wrapper! This came from our new member, from one of my former trainee! I didn't yet opened these two wrapped gifts. I'm still clueless on what's inside them! But then, I'm very thankful to all of them! 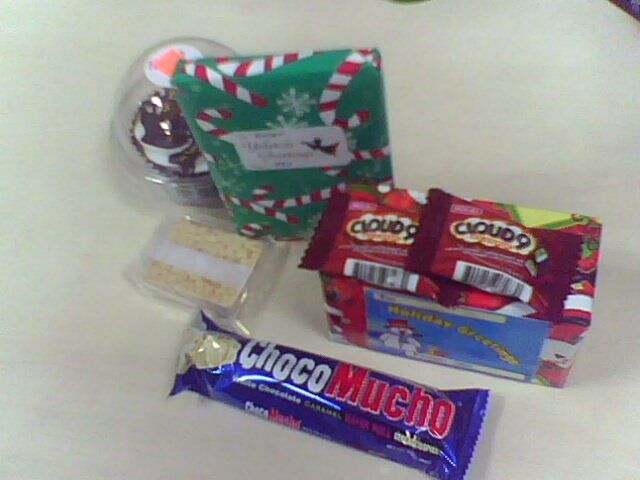 Their gifts, although small or not that expensive, I still appreciate them! It's really the though that counts! Thank you my dearest teammates!